Post Rd Compost Facility, Carlisle, PA 17013. Phone: (717) 249-4422. Program runs the first 2 full weeks in January, between 7 a.m. and 5 p.m. People wishing to drop off trees must provide proof of residency in the borough of Carlisle. Marrietta, PA 17547. Phone: (717) 426-3167. Christmas tree curbside collection by contracted hauler on January, 14 2012. This is for residents of East Donegal Township only. Residents may also make an appointment to drop off their Christmas tree at the Mount Joy Borough Compost Site by calling (717) 653-2300. 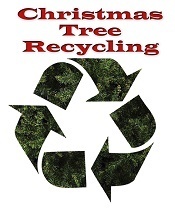 Ephrata, PA - Christmas Tree Recycling, Free curbside Christmas tree pickup. The Borough of Ephrata provides free curbside pick up of Borough resident's Christmas trees. Simply place your tree(s) curbside the same day as your recycling during the weeks of January 7, 2019 and January 21, 2019 and the Borough's hauler will pick it up. Missed Dates If you miss these scheduled collection dates you may purchase a $4 oversized tag at the Borough Business Office. Put the tag on your tree and place it curbside the same day as your recycling for pick up. Prep Tree - Please prepare your tree by removing all lights, ornaments, tree stands, and bags. If you have any questions or need additional information call 717-738-9222 between the hours of 8 a.m. and 4:30 p.m. Monday through Friday. Please Note: Martin Mulch Products, located at 55 Woodcrest Drive, will accept Christmas trees. For questions concerning fees, hours of operation, etc. please call them directly at 717-733-1602. Elizabethtown, PA 17022. Phone: (717) 367-1700. Christmas trees will be collected curbside by a contracted hauler on one day in January only. Call for this year's date. This is only for residents of Elizabethtown borough. Harrisburg, PA 17104. Phone: (717) 236-4802. Christmas trees will be picked up on trash days during the first two weeks of January. Residents are asked not to put trees out until it is their trash pick-up day. For residents of Harrisburg only. Woody Material (Tree Trimmings, Brush, Shrubs), Yard Waste (Leaves, Grass Clippings, Garden Residue, Sod) . Open: Monday to Saturday, Dawn to Dusk. Zeager Brothers - 4000 E. Harrisburg Pike, Middletown PA. Phone: (717) 944-7481. 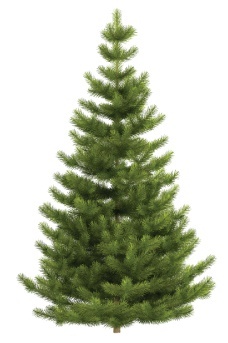 Christmas Trees - No charge, Pallets (Wood), Woody Waste (Trees & Trimmings, Brush), Yard Waste (Leaves, Garden Residue). Open: Monday to Friday 6 am to 5 pm Check in at office first. Lebanon, PA - Recycle Your Christmas Tree for FREE. Any Lebanon County resident is eligible for the FREE Christmas Tree Recycling Program. A GLRA License is NOT required. Please provide the Christmas tree only, no decorations. Trees must be under the 10 foot maximum height or cut in half. There is no cost for recycling. December 26, 2018 through February 16 bring your tree to the GLRA Recycling Center at 1610 Russel Road. Tree must be free of all decorations and paint! We're open Monday thru Friday 7:00 AM to 3:30 PM and Saturday 8:00 AM to 11:45 AM. Camp Hill, PA 17011. Phone: (717) 975-7575. Please call for Christmas tree collection information. For residents of Lower Allen Township only. 842 ﻿W Church Rd, Mechanicsburg, PA 17055. Phone: (717) 691-3310. This is a 24-hour drop-off site. 159 ﻿S Jacob St., Mt. Joy, PA 17552. Phone: (717) 653-2300. For residents of East Donegal Township, Mount Joy Borough only. Drop off trees the first weekend of the month between dawn and dusk. Palmyra, PA 17078. Phone: (717) 838-6361. Christmas trees will be collected on trash days during the month of January. This is for Palmyra residents only. 971 ﻿N Colebrook Rd, Manheim, PA 17545. Phone: (717) 665-3827. For residents of Rapho Township only. Drop off trees between dawn until dusk, December 26 to January 31. Red Lion, PA - January 2 through January 18, 2019. Place your Christmas tree at your usual trash pickup site Monday through Friday, and the Red Lion Borough Public Works Department will pick it up. Please remove all decorations and bags! 1775 ﻿New Valley Rd, Marysville, PA 17053. Phone: (717) 957-2438. For residents of Rye Township only. This is a 24-hour drop-off site. 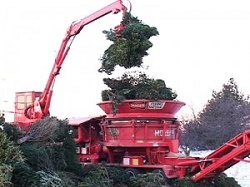 Springfield Township - Wyndmoor, PA - Christmas Tree Collection - Township crews normally begin collecting Christmas Trees during the first week of January. Please place your tree at the curbside on your regular collection day. Please do not "wrap" your tree in plastic as it will be chipped into useful mulch and made available to Township residents at no charge at our property on West Wissahickon Avenue. Please call the Township Building for the availability of leaf mulch and Christmas tree mulch as supplies vary throughout the year.215-836-7600. Flour ﻿Mill Rd, York, PA 17406. Phone: (717) 845-1066. This program runs from December 26 to January 31. For residents of York County only. This is a 24-hour drop-off site. York County, PA - Recycle your Christmas Tree at the Parking Lot Directly Across from the Resource Recovery Center: Christmas trees are accepted Monday through Friday from 8 AM to 4 PM and Saturdays 8 AM to noon from December 26 through January 31. There is no fee to York County residents. Residents should follow the signs along Blackbridge Road directing them to the parking lot across from the Resource Recovery Center at 2651 Blackbridge Road. Please remove lights, ornaments, tinsel and protective bags from your tree before delivery. Trees collected are shipped off site to an end user. Other Christmas Tree Recycling Options: Many municipalities now offer Christmas tree collection for their residents as part of the curbside recycling program. Contact your municipality to find out if they offer this service. Elizabethtown, PA 17022. Phone: (717) 367-7178. Curbside Christmas tree collection by a contracted hauler on January 10th. This is for residents of West Donegal Township.